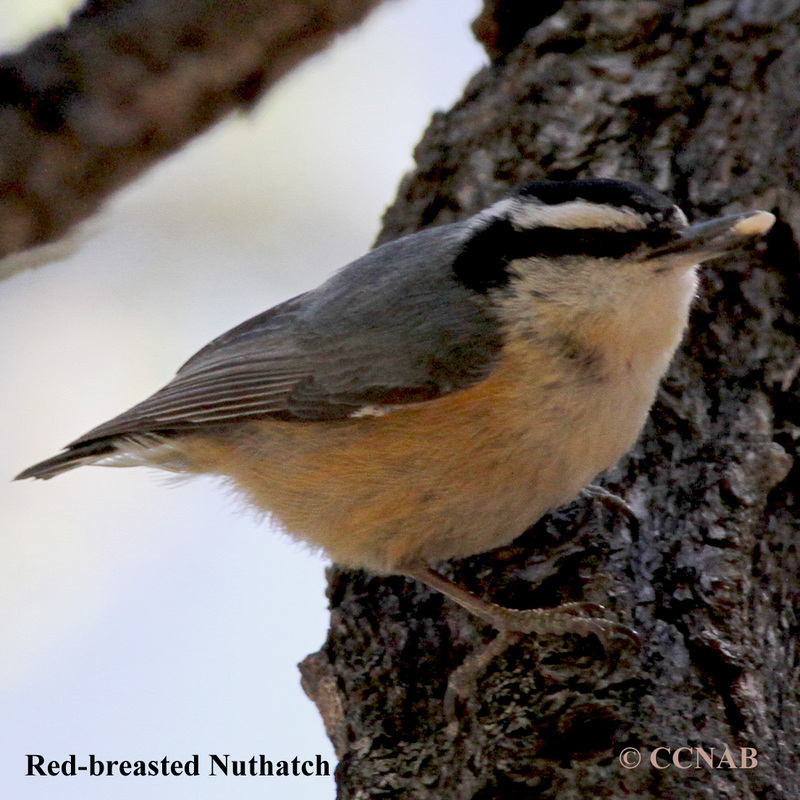 Red-breasted Nuthatch prefers conifer forests. 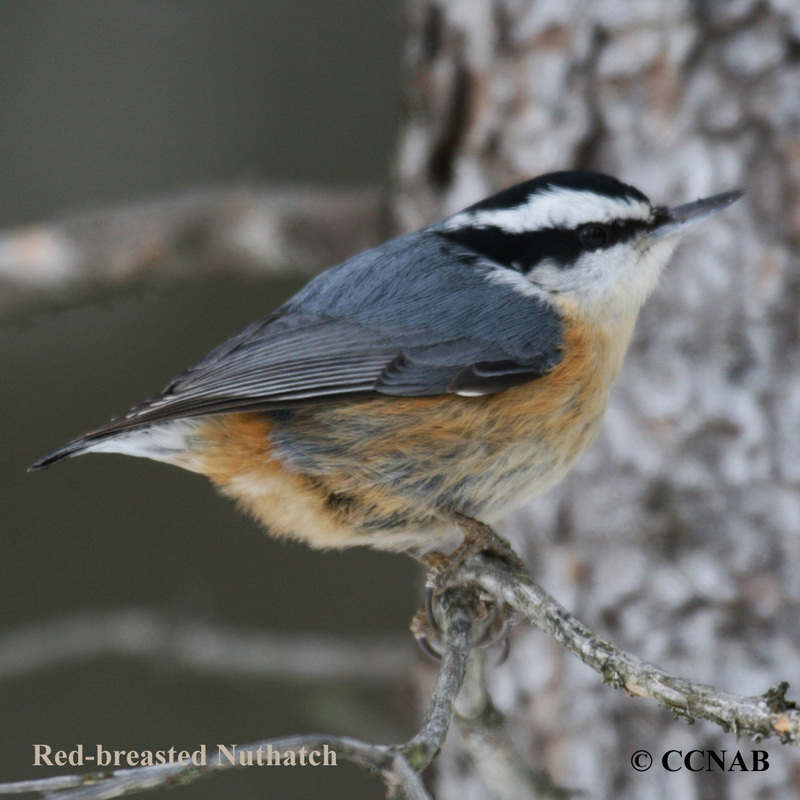 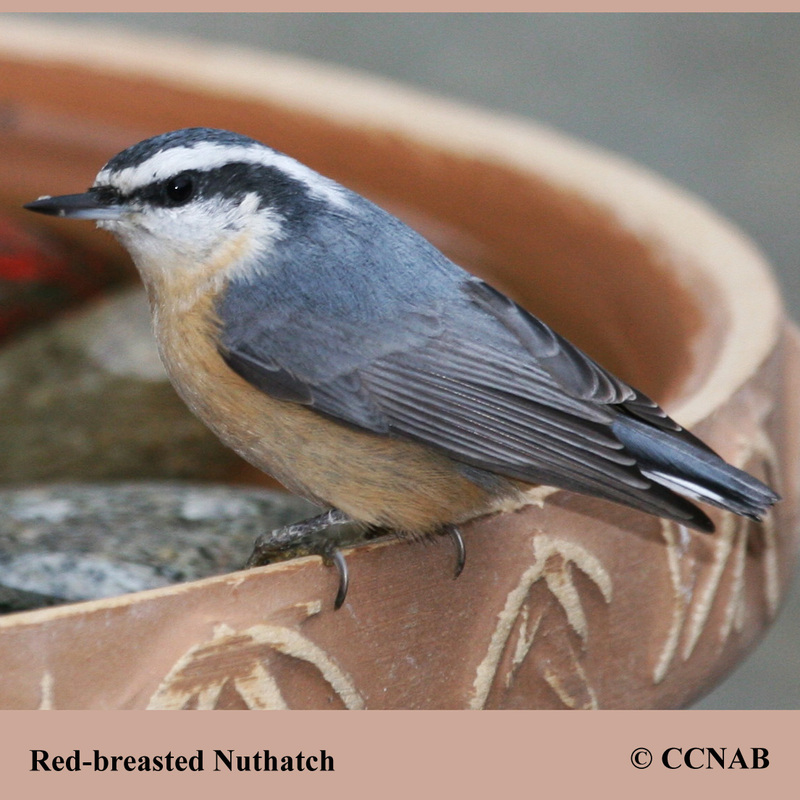 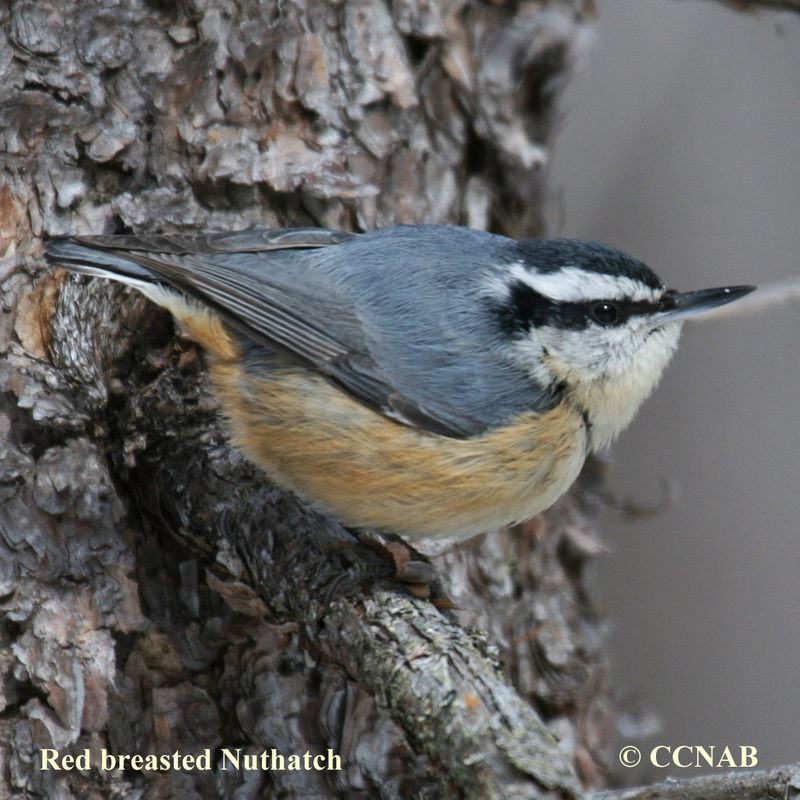 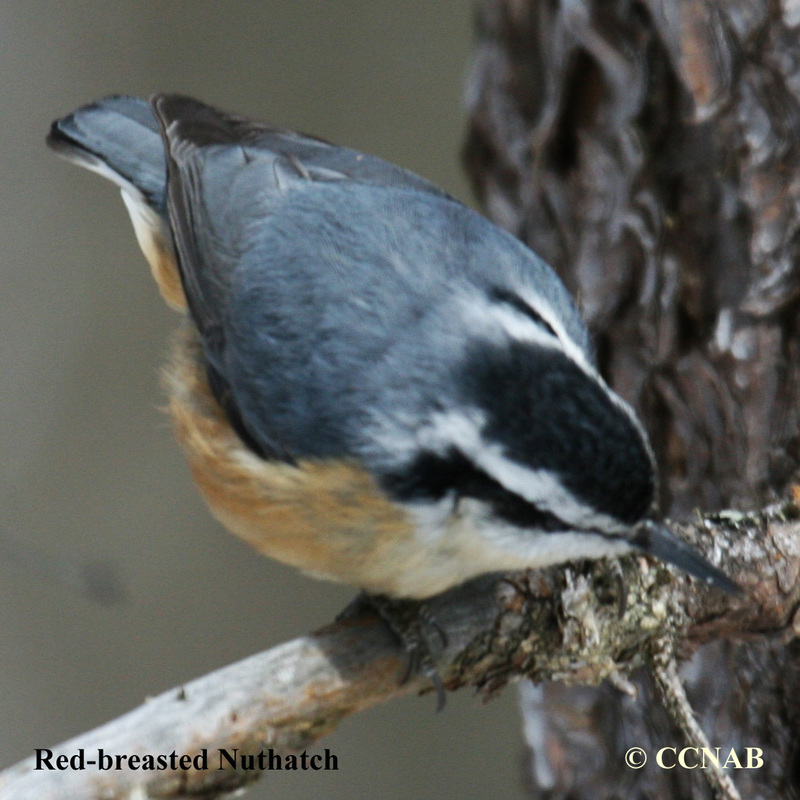 This nuthatch lives in northern regions of North America. 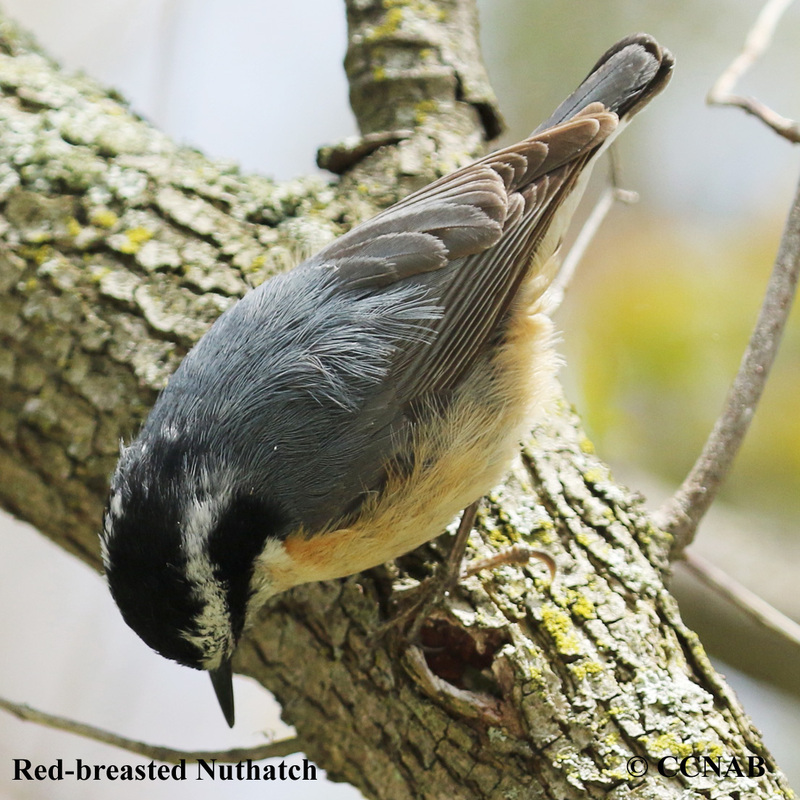 Its call is a nasal sounding whine.